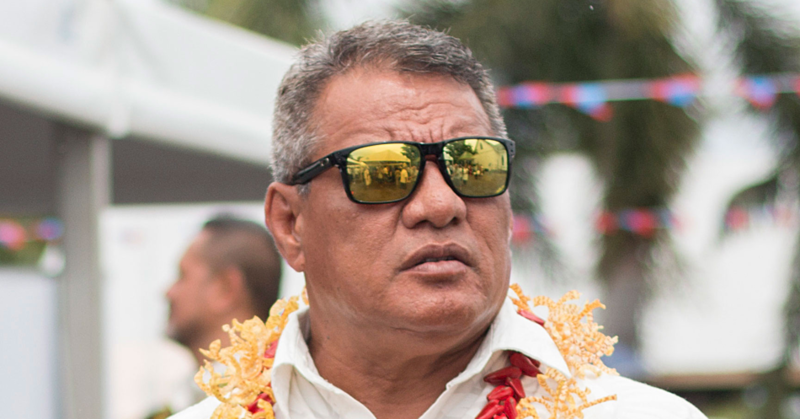 As Samoa pauses today to remember the suffering of Jesus Christ the Saviour, two passionate Samoan Christians whose mission is to tell the world about that love, will join them in thanksgiving. This Good Friday, Tupetoa Ronji and Rebena Tanielu, will join their families in Samoa for a time of fellowship, worship and sharing about the love of God before they return to their work. That work is fulfilling the Great Commission by taking the gospel to all corners of the world – including some of the most dangerous places where Christians are persecuted every day. Speaking to the Samoa Observer yesterday, the couple shared their experiences after two years of self-funded travel to 33 countries to spread the story of Jesus Christ, and to help some of more than 200million persecuted Christians around the world. “The gospel is the most important thing in our lives in terms of his death, burial and resurrection of Jesus Christ,” said Ronji. A Lawyer by profession, Ronji who was born and raised in Auckland, has roots in Falelatai, Tanugamanono, Safotu, Saleaula and Tokelau. His wife, who is an Accountant by profession, has roots in Salani Falealili and Toamua. In Auckland, they were running a couple of companies which they have decided to put on the backburner as they respond to the calling for their lives. But the calling comes with a price. They’ve seen some of the most horrific ordeals of Christians being persecuted. Some of their travel destinations include countries where the Bible is banned, or Christians are regularly persecuted for their faith. “In terms of persecution of our brothers and sisters, it’s something that most Christians don’t often think or hear about,” Ronji said. In Nigeria for instance, Christians are often brutality victimised. Ronji recalls one of one of their more heartbreaking encounters with a young Nigerian boy. “We met a young boy named Danjuma who was twelve years old,” he said. “He had his left-eye cut out, right eye slashed, beaten all over his body, and his private parts cut off, all because he was a Christian. “This young boy forgives his attackers, and prays that they come to faith in Jesus Christ. That’s the kind of persecution and savagery facing our Christians in Nigeria but that’s also Christianity in a nutshell. “Christianity, for us, is really about a God who became a man and then died a horrible death for our sins. We are forgiven despite our trespasses so we should also forgive. The encounter in Nigeria is still raw for Rabena, who fought back tears just hearing her husband share the story again. 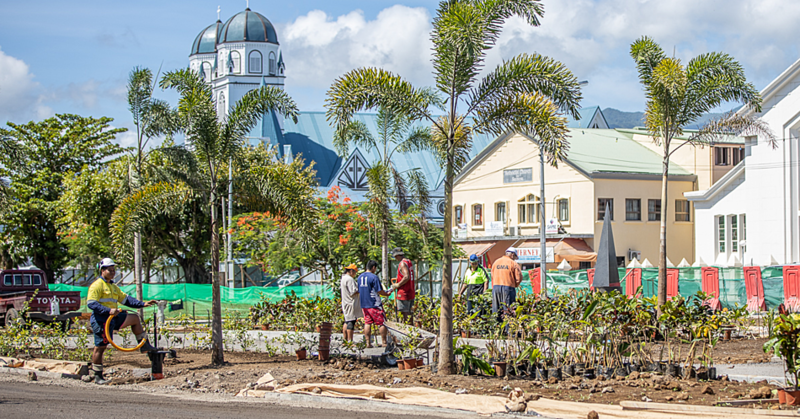 Ronji and Rabena say people in Samoa are so privileged to be able to worship God freely. It’s something they should not take for granted. “We have this saying that sitting inside McDonald’s doesn’t make you a Big Mac. Sitting inside the church doesn’t get you to heaven either. So really it’s not about the church building, it’s really about believing in the death, burial and the resurrection of Jesus Christ. This mantra is what motivated the couple to travel and work with persecuted Christians around the globe. Ronji and Rabena began a worldwide mission in May 2015 with two goals in mind: to help vulnerable Christians, and spread the word of God. “We decided very early on in our marriage that we wanted to serve the Lord,” Ronji said. In the past, the Auckland-based couple developed contacts by engaging with multiple organizations and hosting missionaries that visited. Some of whom have helped them with their travels over the past two years. “We know that most missionaries are generally supported by organizations or their local churches,” explained Rabena. The Tanielus self-funded mission took them to over 33 countries throughout the world, through regions such as Europe, South East Asia, and Africa. The two mostly stayed with friends, or reached out to organizations and churches while on the move. 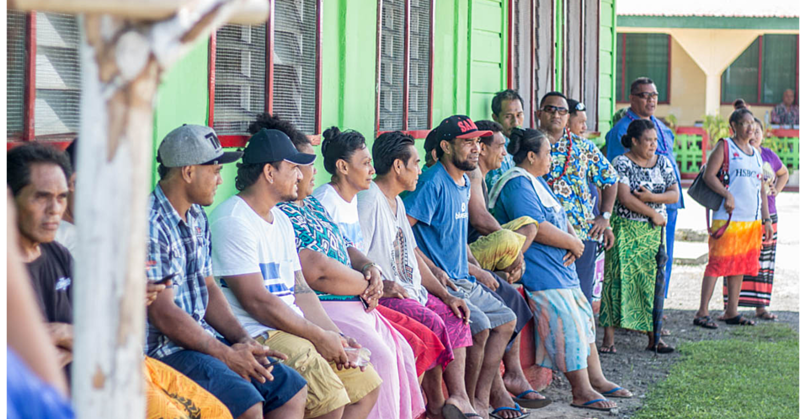 In true Christian spirit, the Tanielu’s strived to share their expertise with locals to improve the lives of people in the places they visited. They are not afraid of getting their hands dirty and helping out in any way that they could. Nazareth was one of many dangerous countries that the couple visited in their travels. 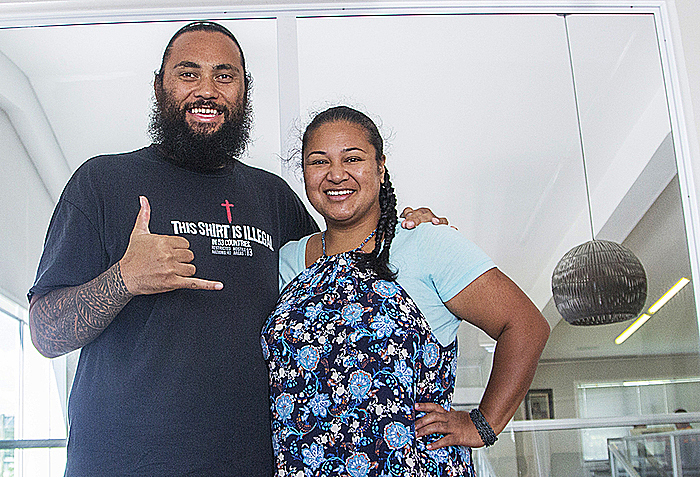 Mr. and Mrs. Tanielu believe their mission is about growing and sharing their faith and, despite the harrowing encounters, both enjoyed their time as self-funded missionaries. Mr. and Mrs. Tanielu reflected that their journey had been fulfilling and that their upbringing and culture had a lot to do with their successful mission. “Being Samoan has prepared us to deal with people and cultures we’ve never been exposed to,” said Rabena. “Samoans make the best missionaries. Samoans can eat anything, sleep anywhere, and do any kind of job for the glory of God,” joked Ronji. Despite having just returned, Ronji and Bena are now planning their next mission abroad.